Extreme weather calls for extremely technical gear. Get a lesson in layering this winter with Quiksilver’s range of polar fleece jackets. 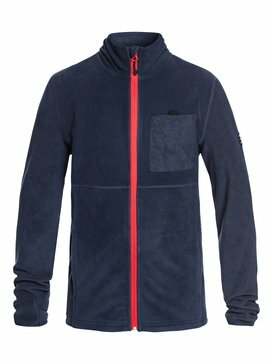 Engineered for the downhill descent, our boy's fleece jackets and mid-weight jumpers offer unrivalled comfort and super soft feel for those bone chilling powder days and north face chair lifts up to the snow line. Keeping a functional focus when it comes to the fit and feel of all of our on-hill mountain layers, we’re re-engineering outdated designs with high-performance fleece jacket features and old-skool know-how for the next generation of steezy snowboard shredders out there. The undisputed champs of all mountain riding, we don’t like to toot our own horn but, when it comes to our kid's snow gear – beep beep! A winter outfitter since 1969, we’ve been drawing lines in the backcountry before snowboarding was even a thing. Learning the hard way about what it takes to cut it in unforgiving terrains, our close-knit community of on-hill snowboard athletes expect the best – and so do their groms, too - that’s why we put the same manpower into our pro snowboarding collections as we do to our kid's snow fleece jackets and layers. Keeping strict textile performance standards, our technical polar fleeces are the perfect barrier between the wild outdoors. Built to withstand whatever Mother Nature throws their way, our snow fleece jackets offer unrivalled warmth and breathability for any altitude adventure. 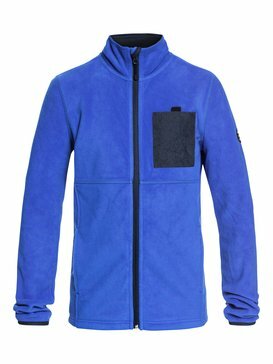 Custom made to suit high-velocity riding and all day styling, our versatile polo fleece jackets, hooded fleece jackets and boy’s fleece pants are streamlined and bulk free to enhance movement and reduce overheating. Giving them just the right balance between form, fit and function, all of our kid’s fleece layers are designed with the best tech-rich innovations to ensure you’re little powder monkeys can keep tearin’ it up from the first to last lift. An essential extension of our kid's winter wear, our soft shell hoodies and light mid-layers are designed in collaboration with a creative team of in-house stylists, product innovators and experienced shredders - ensuring we cover all our bases when it comes to wearability and ultimate protection. 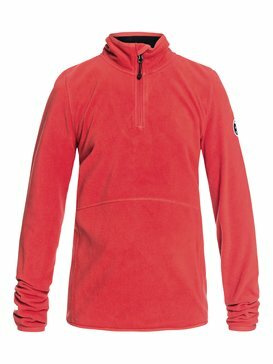 An essential cold weather staple, our boys fleece jackets are designed to deliver the best possible warmth, weight and breathability in a midlayer, and they all come in a range of loud and proud colours that can be mix n’ matched with our kids snowboarding gear and accessories. Keeping them in their element, whatever the elements, our kid’s black fleece jackets and white fleece jackets are built for the ride of their life. 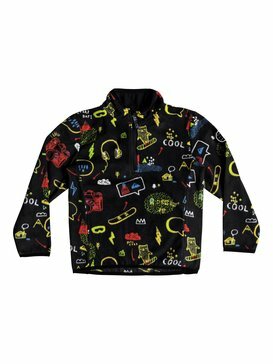 Available for kids up to 16 years old, our online web store is stacked with mid-weight fleece jackets and layers for you to choose from. Offering exclusive deals, discounts and door to door shipping for our online Quiksilver crew, check out our latest drop of on-hill favourites and buy online today.